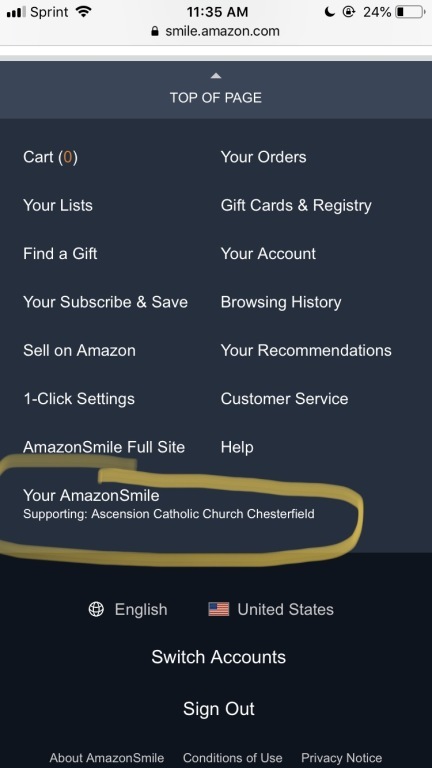 DID YOU KNOW THAT SHOPPING ON AMAZON CAN BENEFIT ASCENSION CATHOLIC CHURCH?! *NOTE: You do NOT need to have Amazon Prime for this to work! Step two: When you get to smile.amazon.com, make sure you are logged in. This is your usual Amazon login info. 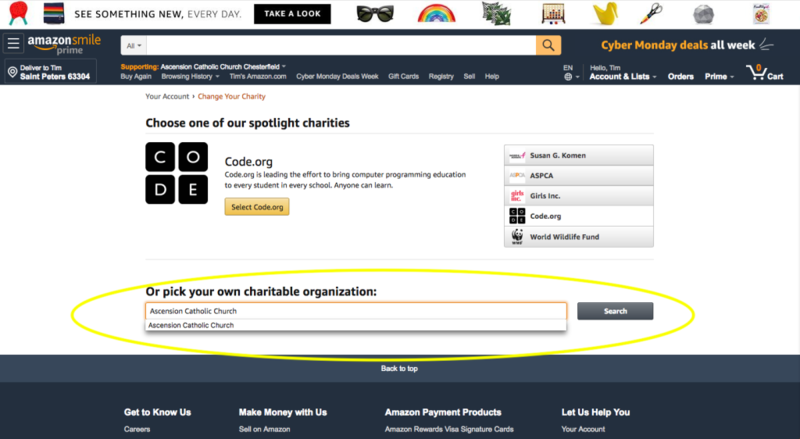 Then, click on Supporting: whatever charity you currently have selected, or none at all. 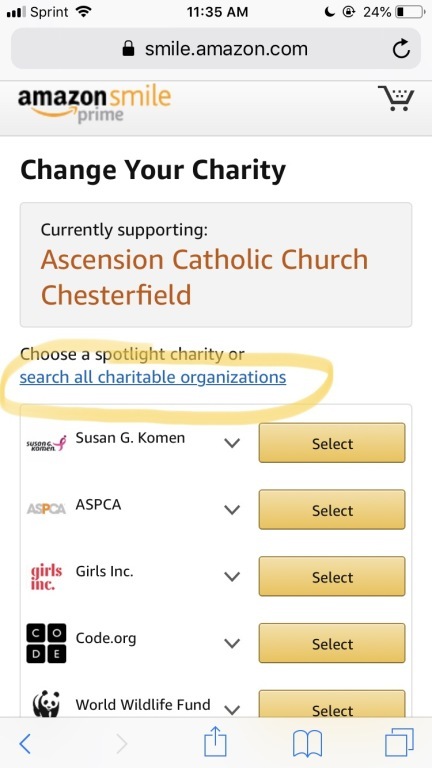 Step three: Click on "Or pick your own charitable organization" and type in "Ascension Catholic Church"
Step four: We should be the first option that pops up. Make sure it says "Chesterfield, MO." Click on "select." 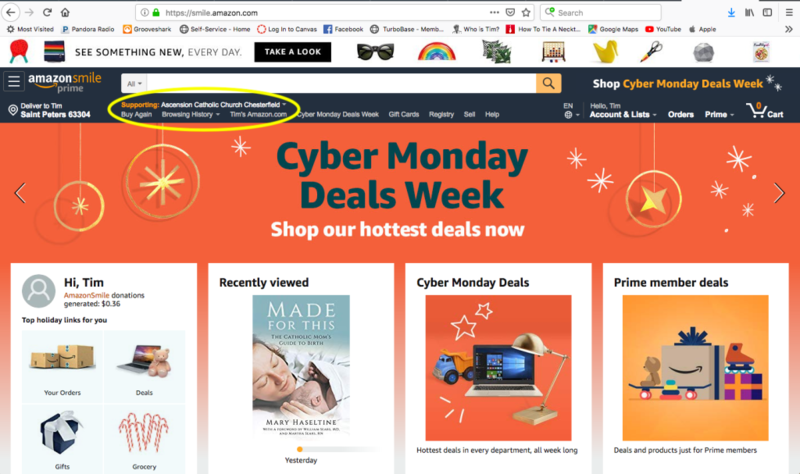 Step five: You are ready to shop as you normally would on Amazon! 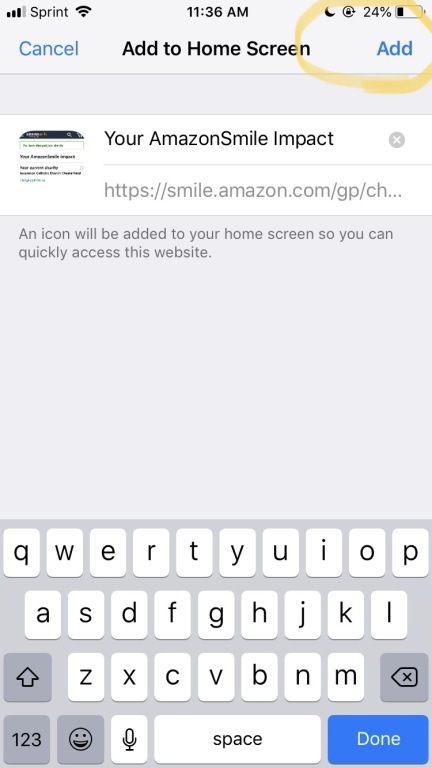 Just remember to use the link smile.amazon.com for future purchases. You can save this as a bookmark for quick access. 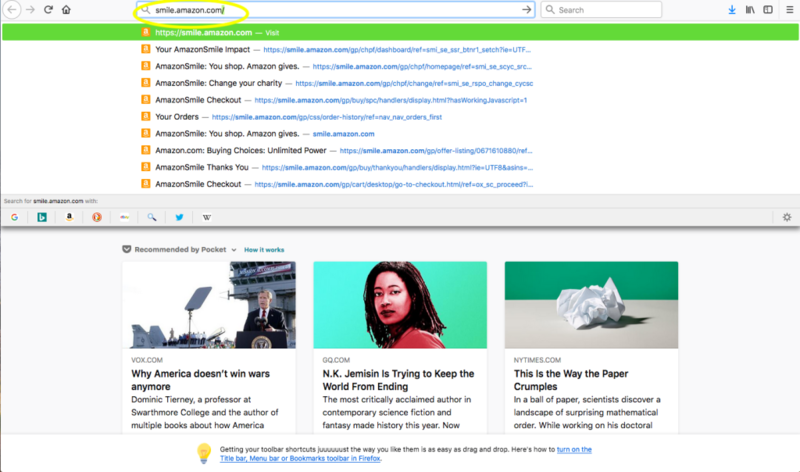 TO SET AS A BOOKMARK, SELECT "BOOKMARK THIS PAGE." 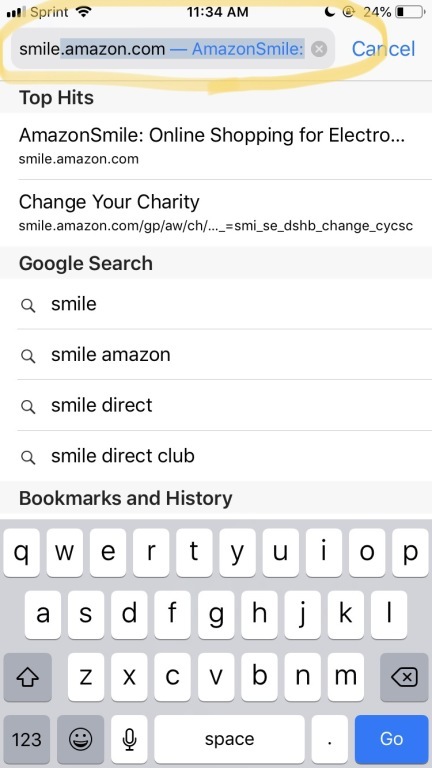 Step one: Open your web browser and type in smile.amazon.com, NOT Amazon.com. 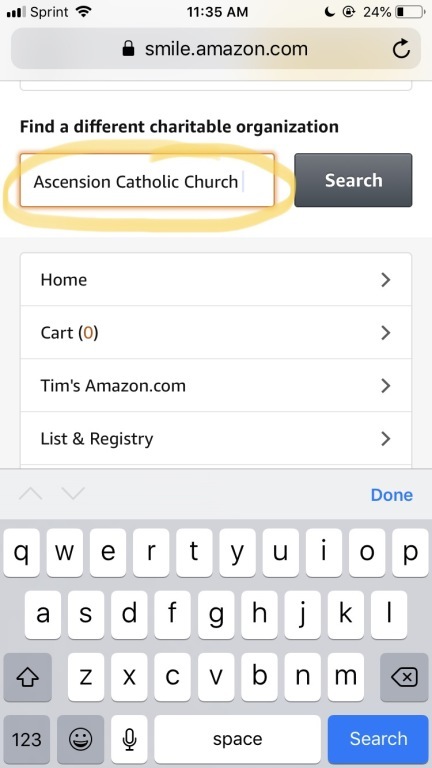 Also, if you currently use the Amazon App, you cannot use that to support Ascension on Amazon Smile. There is another way. Step two: Once you get there, make sure you are logged in. This is your usual Amazon login info. Then, scroll ALL THE WAY to the bottom of the page until you cannot scroll anymore. 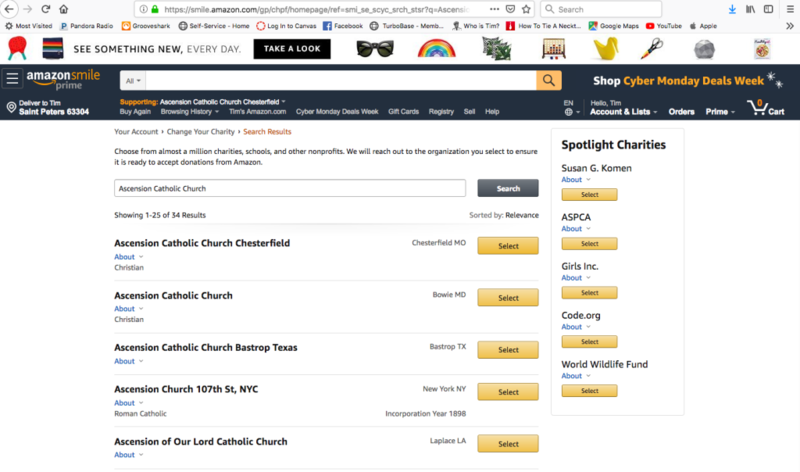 Select "Your AmazonSmile." 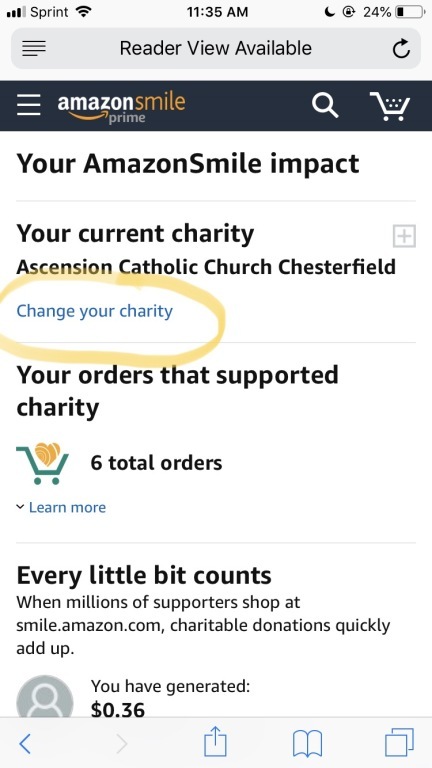 It should say which charity you are currently supporting or it might not have any charity selected. 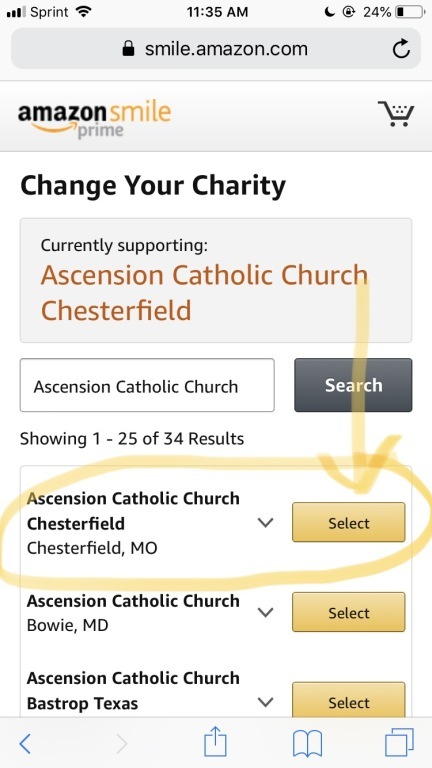 Step three: Select "change your charity"
Step four: Select "search all charitable organizations"
Step five: Type "Ascension Catholic Church" in the search box and hit "search"
Step five: Our parish should be the first option to pop up. Make sure it says "Chesterfield, MO." Hit "select" in yellow. Step six: You're ready to shop and browse as normal! Just remember in the future to go to smile.amazon.com and not just amazon.com. 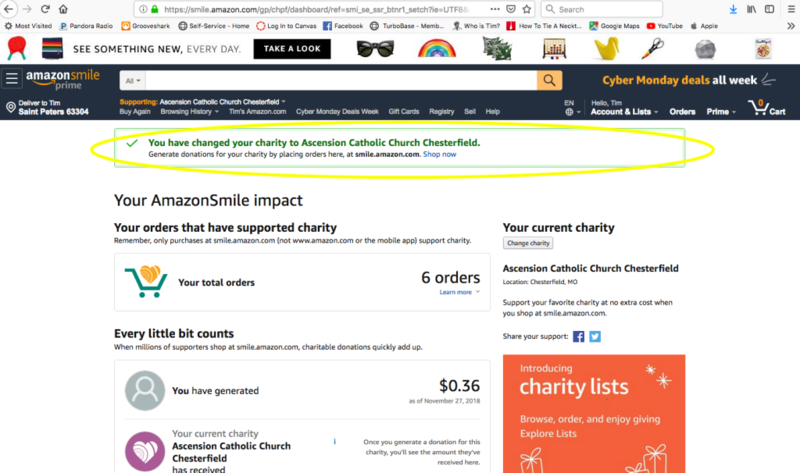 If you like using the app or want easy access to the site, see the next step for how to save the link to Ascension's Amazon Smile directly on the home screen of your iPhone. 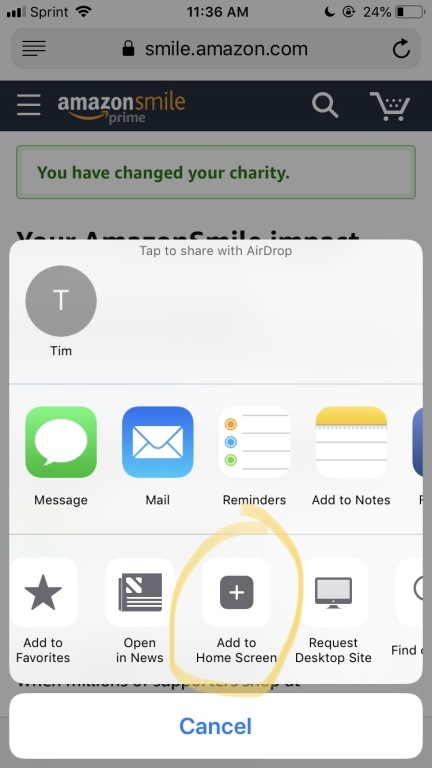 Step seven: On an iPhone, when using Safari, click the square button with the arrow going up on the bottom of the screen. 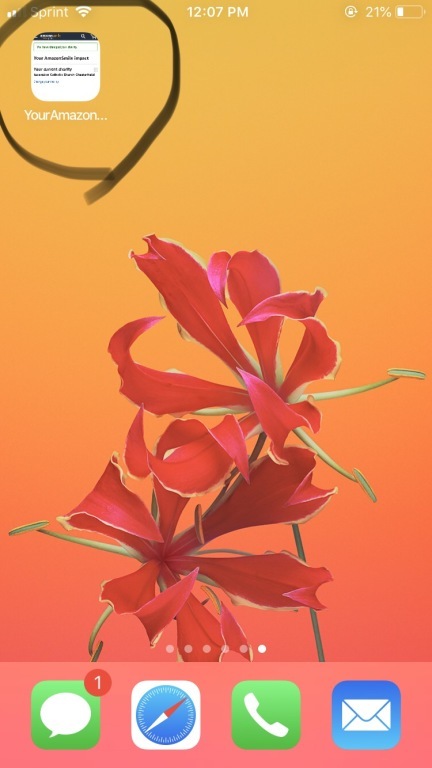 Step eight: Click "Add to Home Screen"
Step 10: This should add an icon to your home screen on your iPhone. 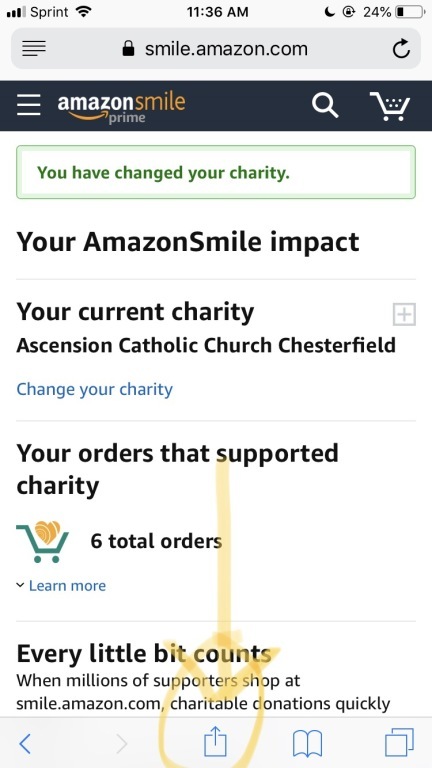 For future purchases, all you have to do is tap it and it will bring you directly to Amazon while being logged into Ascension's Smile account. Please email [email protected] with any questions or troubleshooting issues. THANK YOU FOR SUPPORTING ASCENSION CATHOLIC CHURCH!!! We appreciate it! 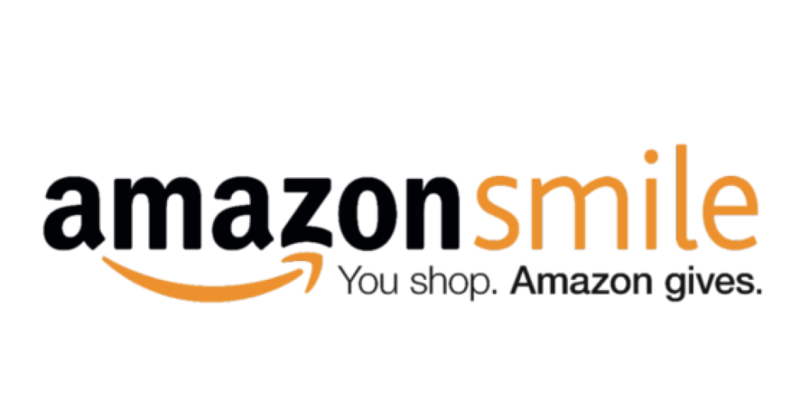 Make sure to use smile.amazon.com every time you shop!